Recreation-converting velocity and coverage can also be yours whilst you hit the ice within the Bauer® Vapor X500 Ice Hockey Skates. 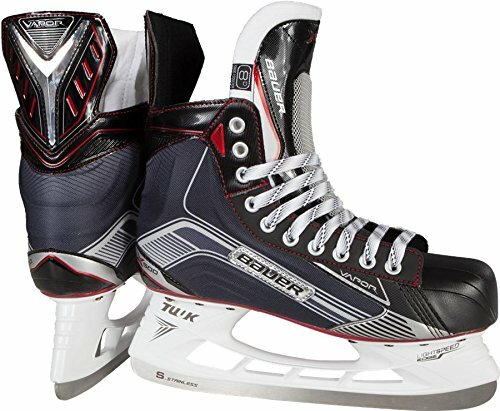 Made with anaform foam ankle pads and a 2-piece metatarsal padded tongue building, the Vapor X500 skates upload coverage for your Recreation. A hydrophobic microfiber lining subject material assists in keeping you cool and ok with each and every put on and the TUUK Tremendous chrome steel provides explosiveness for your Recreation each and every time you tear down the ice.